You know that feeling in your heart when you're at a concert and everybody around you is standing up, and you don't know what the words to the music but the mood is just so fun that you can't help but join in the screaming? It swept over me once again when I first listened to Twin Forks' debut EP on a foggy Tuesday morning. 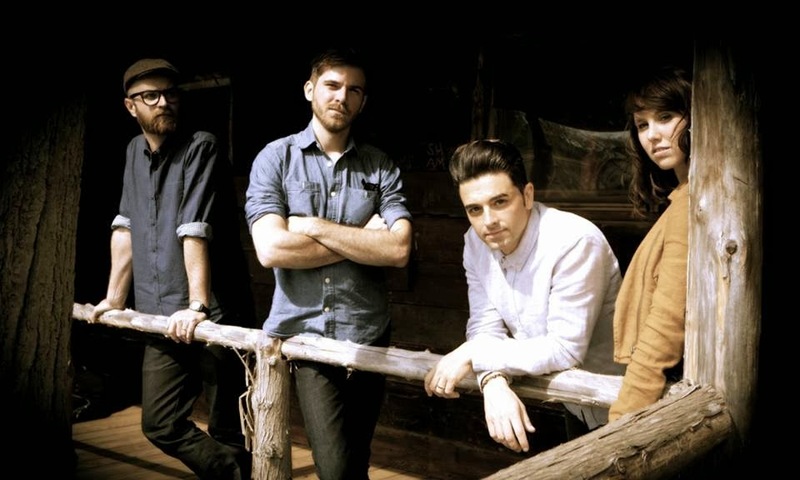 The folk-pop quartet is led by guitarist and vocalist Chris Carrabba, whose vocal performance is truly rave-worthy. His voice brims with unbridled conviction, heartache, and energy, and it's impossible to keep your eyes off of him whether he's yearning for connection on "Back To You" or baring his soul on "Can't Be Broken." Each member brings crucial elements to the overarching sound, though: Suzie Zeldin's mandolin playing brings a breezy, festive feeling to the tunes, while bassist Jonathan Clark and percussionist Ben Homola serve up rhythms you can't help but clap along to. What can I say? The enthusiasm is contagious: I could ramble on and on about Twin Forks if you gave me the chance. It's impossible to pick a standout on an EP where every single song is something you can imagine something you can imagine singing as you untangle your hair in the morning, skip down the steps to the subway, dawdle in your lunch line, or sit in the park on a particularly lovely fall afternoon. This is music that will bring people together, made for bleeding hearts and joyful spirits alike, and I'll be sharing it with everybody I know until it reaches the stadiums it deserves to be played in. You can stream the band's music below and find more at its Facebook page.